Singapore's Deus Ex Machina is that rare commodity within the extreme metal circles, a band with a thoughtful and innovative lyrical concept. Not that extreme metal bands, or metal bands in general, can't be intelligent. But a cursory overview of modern metal shows more trends towards aggression, hatred and violence in their lyrical themes. DEM's I, Human, their second self-financed offering, merges the metaphysical with the technological. Drawing heavily upon Asimov's I, Robot and the movie The Sixth Day, the work explores the intent and ultimate worth of cloning as the main character awakens to the self-realization that he is indeed a clone. Thoughtful stuff, but hardly unknown territory for Deus Ex Machina. Their first album, the more humanistic The War Inside, covered topics from war to religion and books from The Prozac Nation to The Da Vinci Code. This is all heady stuff; I just wish they would have applied it to their music. 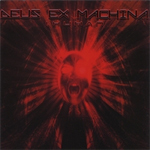 Deus Ex Machine borrows heavily from the thrash side for their death metal, but attempts a more progressive side in their arrangements and presentation. Songs like Replicant and The Human Strain have creative moments within that prove that DEM has the talent to rise above the normalcy of their modern peers. But that's about the best of the good news. Those songs, and the majority of I, Human is weighed down by two things: excessive dependency on the harshness of modern day thrash/death metal riffing and simply horrible vocals. I don't care for the dirty/death vocals to begin with, but I can tell when they're done well. This isn't one of those times. The vocals are grating, difficult, and largely inconsistent throughout, and because of these things distract heavily from the the music and more importantly the concepts wanting to be expressed in the lyrics. As usual death vocals are a double edged sword: they seem so essential for modern metal, but can quickly destroy any good within. If I ignore the inadequate vocals (a difficult thing) on I, Human, it becomes a much more interesting, and a listenable, accomplishment from Deus Ex Machina. The bottom line is that there is much creative talent and ambition with Deus Ex Machina; it just needs to be redirected towards skillful compositions. The strengths of Deus Ex Machina's I, Human are its intelligent thematic content and more progressive death metal approach. However, the former is destroyed by the atrocious vocals (even for death metal), and the latter by its quite marginal use.